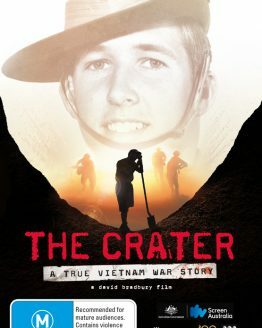 A deeply disturbing film about the use and effects of DU munitions in wars in Iraq & Afghanistan, and how this danger is now coming to our backyard. 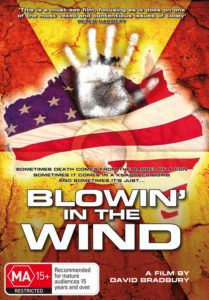 Blowin’ in the Wind examines the secret treaty that allows the US military to train and test its weaponry on Australian soil. 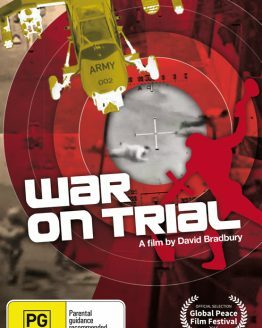 It looks at the impact of recycled uranium weapons and the far-reaching physical and moral effects on every Australian. The film’s release has been timely as the government currently moves to approve more uranium mines while arguing the contrary – that by going nuclear we are being both ‘safe’ and ‘green’. 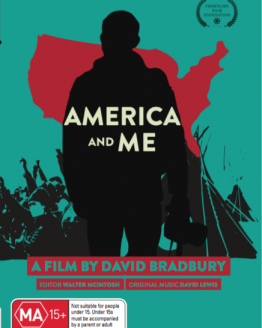 This is a film that very much wanted to find me. I tried to fend it off, exhausted from making environmental and political films on shoestring budgets that told hard truths to my fellow Australians that they needed to hear but preferred to ignore. 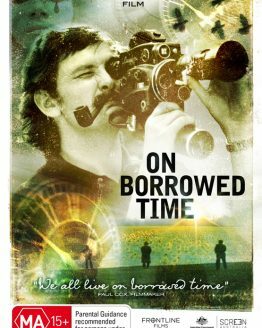 In today’s climate of self censorship, and public broadcasters who fear that their political masters in Canberra will still further cut their budgets if they support these sorts of films, fellow filmmaker Peter Scott and I pushed on regardless. With a hard cash budget of $12,000 and a beg, borrow or make do philosophy…and a lot of favours, we’ve pulled together this doco I know you’ll never see on ‘your ABC’. The picture it paints and the consequences for us all if we don’t raise our protest loud and long to this new military alliance with the United States is too devastating to ignore. 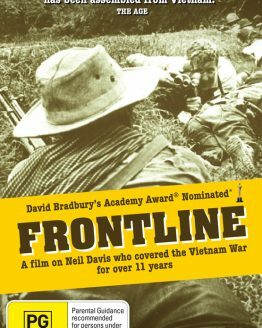 The Paddy McGuinness’s, the Gerard Henderson’s and Greg Sheridan’s of this world with their sycophantic attitudes towards their media masters and ruling class elite will have a field day in attempting to put this film down, to write it off as ‘propaganda’, typical anti-American sentiment with no substance. It’s time for all of us to draw a line in the sand, to acknowledge whether we are in fact happy to be the 51st state of America. More than ever, it’s time for us all to stand up and be counted for the decency and genuine moral values of what I believed as a kid it meant to be ‘a fair dinkum’ Australian. Not a false, jingoistic patriotism that is built on fear, that justifies war crimes in the name of the so-called War on Terror. Rather, I embrace a healthy nationalism that acknowledges who we are as Australians with compassion for the underdog and giving everyone a fair go. In a humble but sincere way, I hope this film made with a lot of heart and commitment can play a small but important role in galvanising a lot of us to do just that.